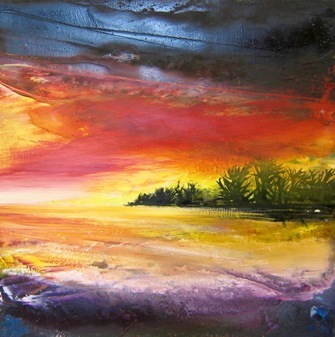 Since completing her artistic studies, Shazia has devoted her time to the exploration of a very specific and quite unique method of painting. Her process-based technique relies on the phenomenon of chromatography - the colour-separation reaction that occurs when two specific mediums interact. In her work the base medium is a layer of PVA glue on canvas. When inks are then applied the glue draws out the individual dyes to create a distinctive colour transition. 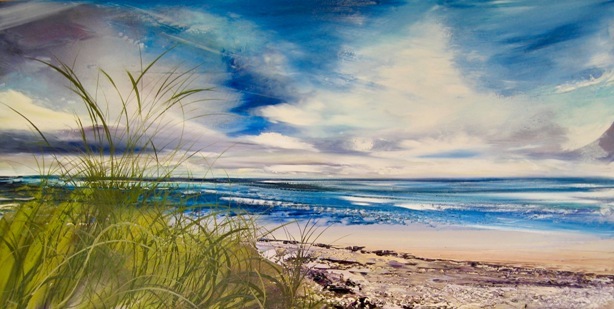 For the past 10 years Shazia has painted exclusively from an area around the Western Isles. 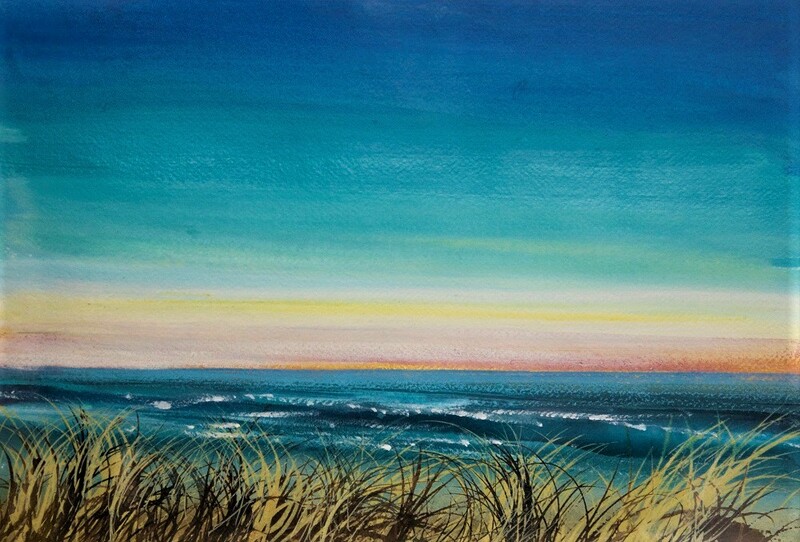 She has been captivated by this area primarily because of the pure drama and the multitude of changing weather conditions – evoked through her intimate knowledge of the chromatic technique, allowing her to control the progress of each reaction to produce her desired visual result. 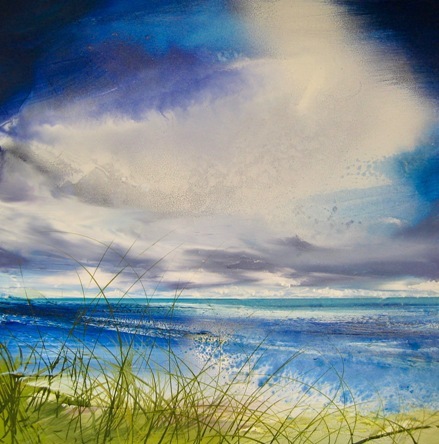 Shazia then decided to move away from these scenes and experimented with the East Anglian landscape, capturing the beautiful scenery around that coastal area and producing pieces which are just as powerful as the Scottish coastline. "This year I would have been showing with Cambridge Contemporary Art for 10 years which I am really proud of. They are an incredible gallery and I am thrilled to be with them after all this time. This show is about my recent Journey to the very tip of Scotland. The North West Highlands, particularly the area Assynt, Durness, Balnakeil and Lairg. This show will include all my new and exclusive paintings of this particular area. I will also be showing a few favourite places of mine Elgol, Skye and the West Coast. This show for me is about showing new techniques as well as showing these new areas. The North West Highlands was such an incredible surprise the mountains were so extreme and vast the light on this particular landscape was such that it was unforgettable. I have started to use new mediums as well in this body of work so it's important to show these new techniques which I hope have developed over the years." The works illustrated below are intended to give you a taste of what the gallery has to offer, please email us on info@cambridgegallery.co.uk or call us on 01223 324222 to find out which pieces are currently available. Prices range from £300 - £2,400.